Last August, I had a blast at the Data Platform Summit 2018 in Bengaluru, India. One highlight of the trip was meeting and conversing with the Azure Data Factory SSIS Integration Runtime Product/Program Manager, Sandy Winarko. Sandy and I swapped coder stories and talked about data integration design patterns and I learned a few new design patterns sitting in his session. This post is about one of the patterns I learned from Sandy. 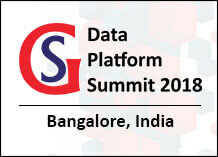 Before I move on, though, you should really check out the Data Platform Summit! It is an awesome show – Asia’s largest Microsoft data conference. Azure Data Factory’s SSIS Integration Runtime (aka Azure-SSIS IR) is not free. It costs money even when it’s just sitting there switched on with no SSIS packages executing. 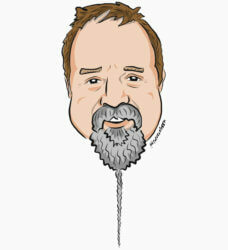 Depending on the size of the Azure-SSIS IR, one can wrack up some serious charges for what amounts to, well, no work. 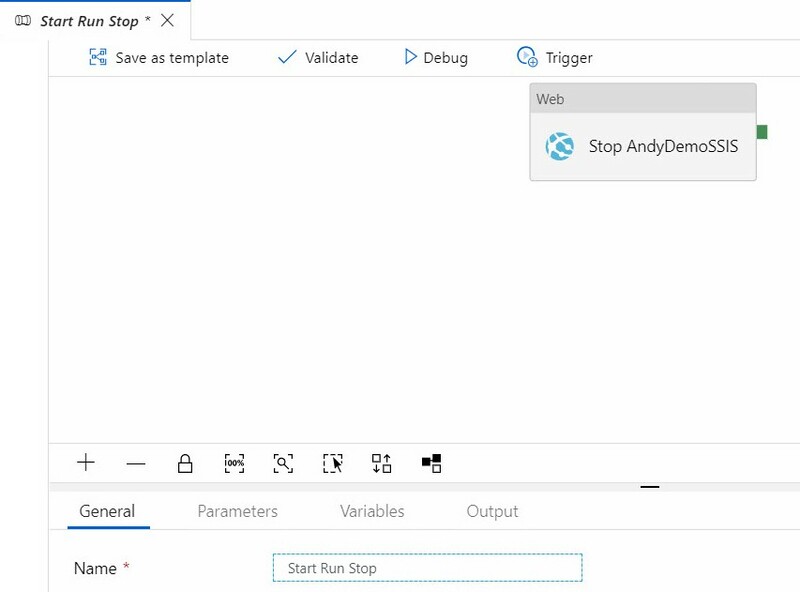 Sandy, Nick Schonning, Douglas Laudenschlager, and Sreedhar Pelluru authored a post at Microsoft Docs titled How to start and stop Azure-SSIS Integration Runtime on a schedule. When I tried to follow the instructions I encountered one issue. Now, you may read that last sentence and think, “Andy, don’t you have a problem following instructions anyway?” Yes, but that’s beside the point… mostly. 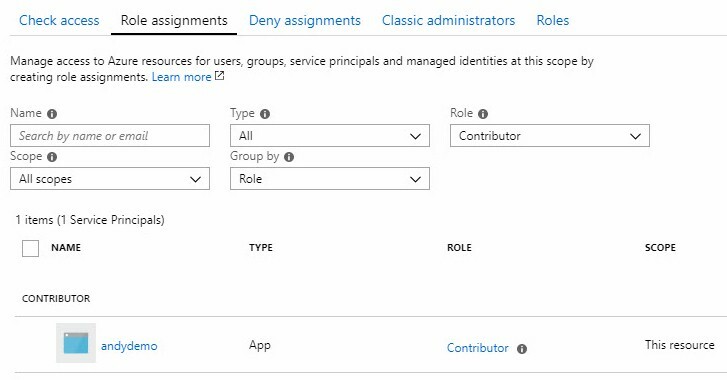 Their article walks one through setting up an instance of Azure-SSIS. It then proceeds to describe how to build the start-execute-stop pattern Sandy described to me (and everyone who attended his presentation) in Bengaluru. Now this pattern has evolved since Sandy first described it. The first version used Azure Runbooks and Webhooks. I like this version much better. 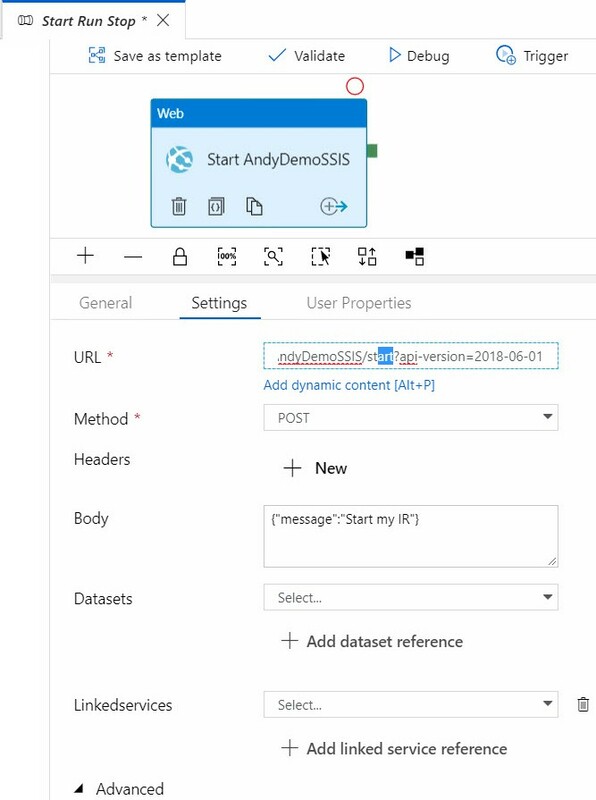 You can still use Runbooks and there’s more information in the How to start and stop Azure-SSIS Integration Runtime on a schedule article. 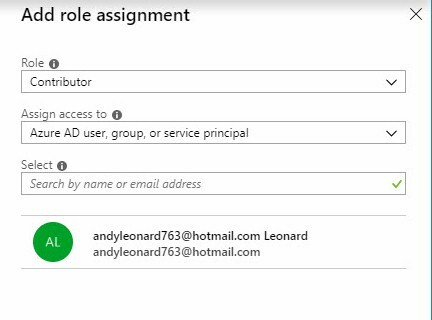 Assign the managed identity for your ADF a Contributor role to itself, so Web activities in its pipelines can call REST API to start/stop Azure-SSIS IRs provisioned in it. 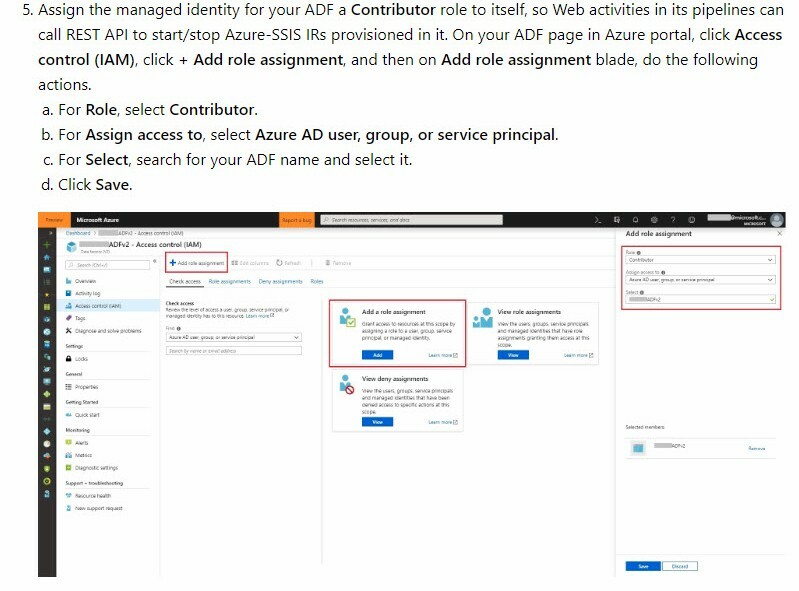 Well, I searched for the answer and found this spiffy article titled Azure Data Factory service identity that not only explained what an ADF Managed Identity was, it also told me where to find it. So that’s who I assigned to the Contributor Role: me. As I said, that did not work. After I figured this out – with awesome and patient help from Sandy himself (thanks Sandy!) – I was in business. 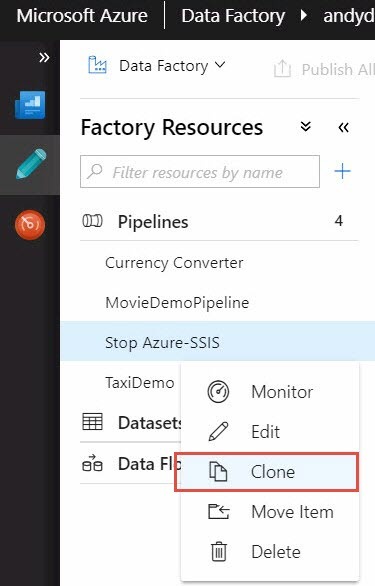 I created a separate pipeline to stop Azure-SSIS. I run it every night at 11:00 PM ET because if I’m awake at that time (I usually rise around 4:00 AM ET), I am not being productive on my computer (if I am on it at all…). I do this in case I forget and leave Azure-SSIS running after a presentation, class, or client demo. When you copy the Resource ID, you get all those missing values filled in for you. How neat is that? 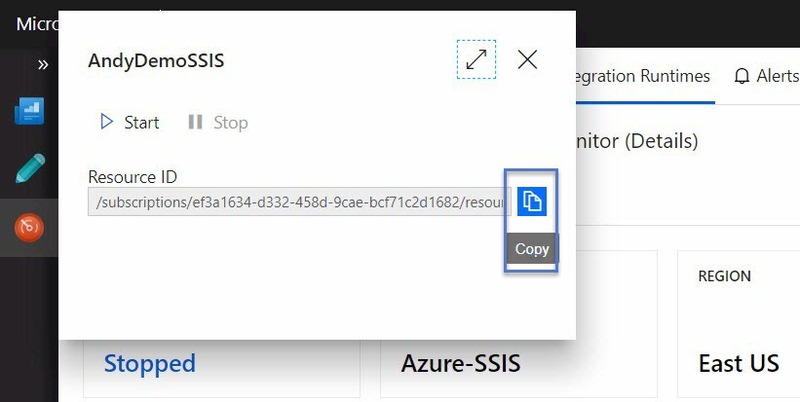 Prefix that with “https://management.azure.com” and add the suffix “/stop?api-version=2018-06-01”, and you are golden. Finish following the instructions in the Create Your Pipelines section, and then take it out for a test drive. Things begin to pick up here partly because you’ve done a lot more work than you realize already, and partly because supper’s ready and I’ve been blogging for the past couple hours. I name my new clone Start Run Stop. 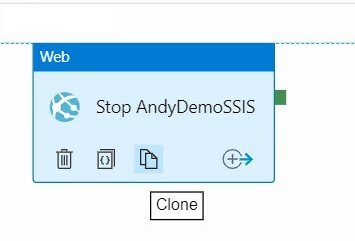 The Stop AndyDemoSSIS Web Activity is in there already and just begging to be cloned. Look how easy it is to clone an activity in ADF. I mean, could they make this any easier? I think not. I’m not going to write much about how to configure the Execute SSIS Package Activity. You can learn more in one of these blog posts where I’ve already written about it. Supper’s waiting. Thanks to Sandy and the team at Microsoft for the excellent documentation. 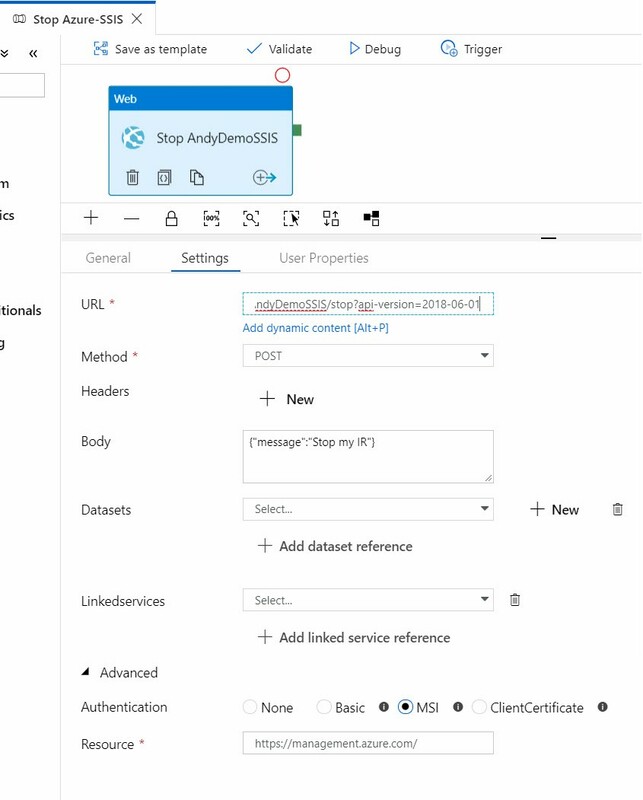 This is a very cool Azure Data factory Design Pattern!